This is invitation design #3 option for the Tea Party. 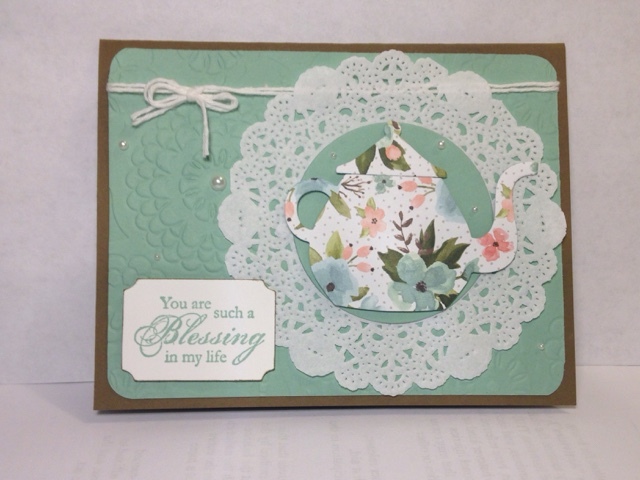 I love the texture from the Lovely Lace Embossing Folder. This "Birthday Bouquet" Designer Series Paper for the tea pot is gorgeous and my favorite item in the Occasions catalog! Thank you for reading along as I share this series. Please remember to click on any of the products below to shop online with me. I appreciate your support!